Beautiful little afternoon ‪#‎vegan‬ smoothie cup snack! 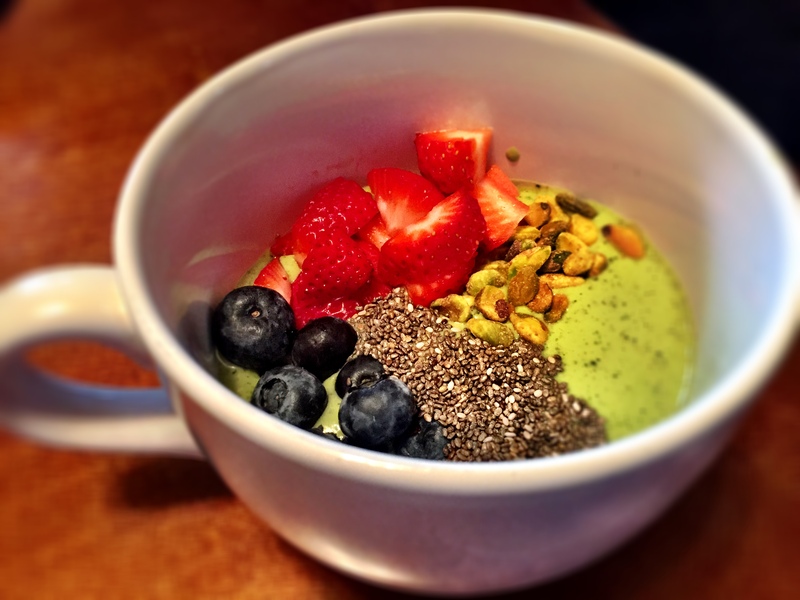 A Matcha Banana Protein Smoothie with all the dressings! This is a super easy, delicious recipe that can be a snack or breakfast or dessert or whatever you want! 1/2 frozen banana, 1tbs matcha powder, 1 scoop vega vanilla protein, a handful of spinach, coconut milk blended topped with strawberries, pistachios, chia seeds and blueberries.